A friend talks about you behind your back. What do you say to her? You want to watch a TV show that's on past your bedtime. How do you ask your parents? You or someone else is being teased. How do you respond? You ruin your friend's favorite book. How do you apologize? 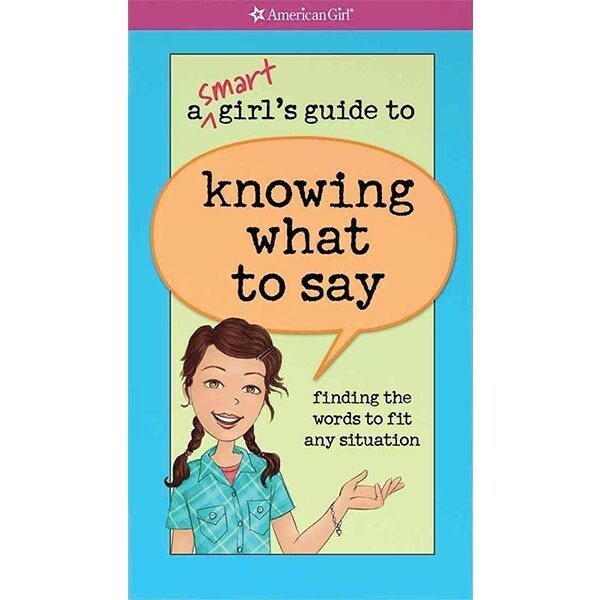 In this Smart Girl's Guide from American Girl, you'll learn the exact words to say in these situations, plus more than 200 others! Tell a friend that you're sorry for her loss. Ask a teacher for more help. Stand up to a bully. Let someone know how much they mean to you. Inside this newly updated book, you'll find the tools, tips, techniques, (and actual words!) 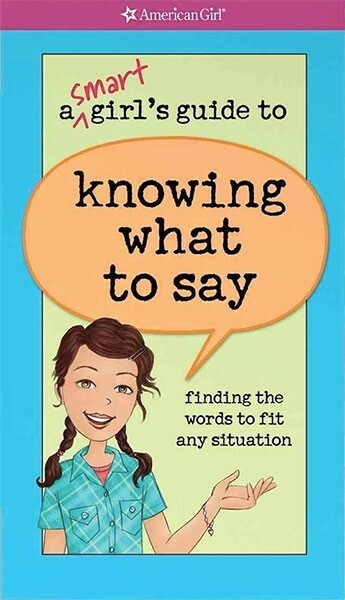 to help you untangle your tongue and speak out with confidence and grace. For more guides on social skills and all aspects of growing up, including ones addressing issues related to both physical and social development, visit our Guides for Girls section.